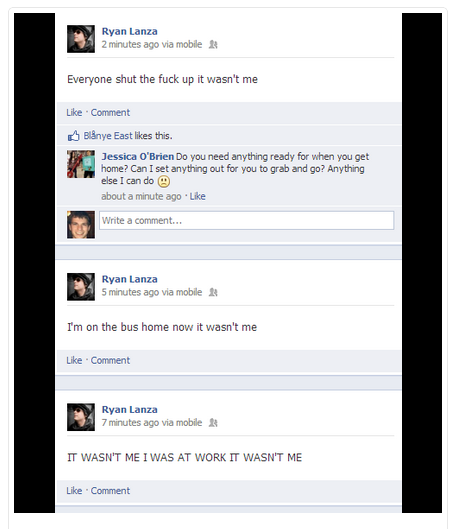 On December 14th, 2012, Ryan Lanza should have been in mourning. Instead, the brother of the Sandy Hook Elementary School shooter was trying to clear his name after being wrongly identified as the shooter himself. As his name and face flickered across the web and national TV, the falsely accused brother used a Facebook status post to exclaim "IT WASN'T ME" -- his all caps plea a lone beacon to news outlets to retract their false reports. Eventually, news organizations did just that, but the false report was already reverberating across the social web. Facebook "hate pages" and vengeful tweets organized and aimed the public's anger directly toward Ryan's social media profile. Ryan found himself cast the fugitive in a manhunt gone viral. 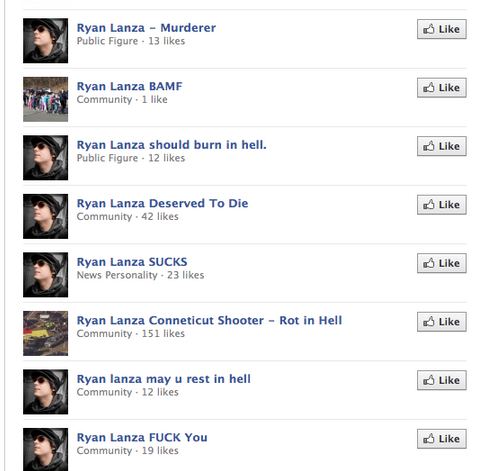 The entire Orwellian episode lasted only a few hours, yet Ryan Lanza's life (notwithstanding his relation to the actual shooter), had been forever changed. In this particular instance, the press is largely absolved from disseminating the wrong information as the shooter had been carrying the ID of his brother. This accounts for the mix-up made by an official at the scene which was passed on to the media. Unfortunately, the press' coverage of Newtown was riddled with inaccurate reports, including the mother's connection to the school, how the shooter entered the school and the number of weapons he used. The Ryan Lanza mix up may have been the least reckless of many errors the press made that day. But it is a chilling example of the speed in which false information, and its troubling consequences, travel in today's era of interconnectedness. This list suggests that the Newtown inaccuracies were not an aberration, but rather the latest examples of an alarming trend. In each of these situations, the mass media report was further disseminated by social media. It's easy to imagine how this sort of bad information can have terrible consequences once it goes viral. In a newsroom there is an innate tug of war between speed and accuracy. Yet that balance has been disrupted by a strong external force: social media. The problem is that social media, specifically Twitter, has given news organizations a powerful incentive to break news quickly, yet fails to punish them for inaccuracy. Today, the org that breaks the news is rewarded with an immediate windfall of retweets and followers. Social media tracking company TwitterCounter shows how major news events accelerate the rate of acquisition of Twitter followers. Analysis of @NYPost reveals its follower acquisition rate increased 137 percent on the day of the Connecticut school shooting. @CNN's soared 407 percent on the day after. If you're sitting on the sidelines fact checking instead of tweeting, you're not gaining followers. The number of followers may seem like a triviality to outsiders, but it's not just about vanity. A strong social media presence goes hand in hand with pageviews which are the lifeblood of a healthy online advertising business. Far-reaching tweets are equally valuable to the careers of individual reporters; some have cultivated hundreds of thousands of Twitter followers, an asset to any future employer. Super blogger Andrew Sullivan recently left the Daily Beast to start his own publication and promptly converted 12,000 of his followers into paying subscribers. There's a strong business case for using social media to capitalize on breaking news, yet if you happen to get the facts wrong, the damage to the brand is less tangible and less immediate. The main problem is social media has created a playing field where speed counts and accuracy doesn't. The absence of any metrics tied to accuracy has conditioned news entities to create a culture where, if the scoop is big enough, gambling for speed at the expense of accuracy is frankly, rational. The question then is not how to recapture a lost sense of integrity, but rather, how to level the playing field on Twitter. How can social media create an incentive for accuracy that is equally powerful as the one for speed? The answer: a credibility score. Similar to Klout, which provides a standard for influence across your social graph, newsies need a proxy for their historical accuracy, or credibility, when reporting via social media outlets. This adds game dynamics to credibility, a metric that any reputable news organization would be obliged to respect. The context of a credibility score would give Twitter users a sense of who is a trusted source within the social-sphere and thus deserving of the coveted 're-tweet.' This would address the fundamental flaw of news in the social era: bad information travels as quickly as good. Great post. it is very useful and informative. I like very this article. keep more like this. Thank you for your sharing.